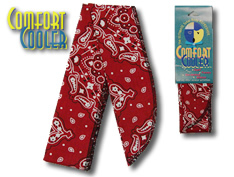 Comfort Cooler™ helps prevent heat stress when you're outside on those hot days. 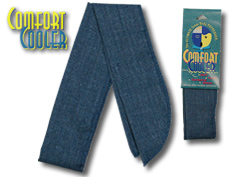 The Comfort Cooler™ looks like a regular scarf but inside there is enough super-absorbent material to hold 12 oz of cooling water. It takes about twelve hours for the water to evaporate, and as it does it cools your neck and body. 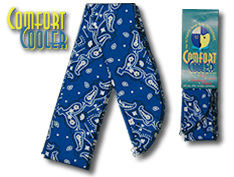 Unlike other scarves, our product is lightweight and contains no harmful chemicals. All you need is water and in 3-5 minutes you're ready for any outdoor activity. 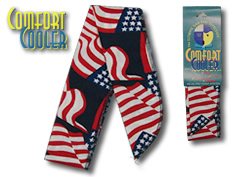 It's great for jogging, golf, tennis, yard work, construction...anytime you're hot!